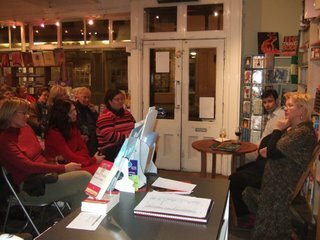 On Thursday November 2nd, we welcomed Sophie Grigson to Mostly Books for our biggest event to date. It really couldn't have gone any better. I did wonder about how best to post to the blog about the event - my first effort came over rather too 'luvvy'. 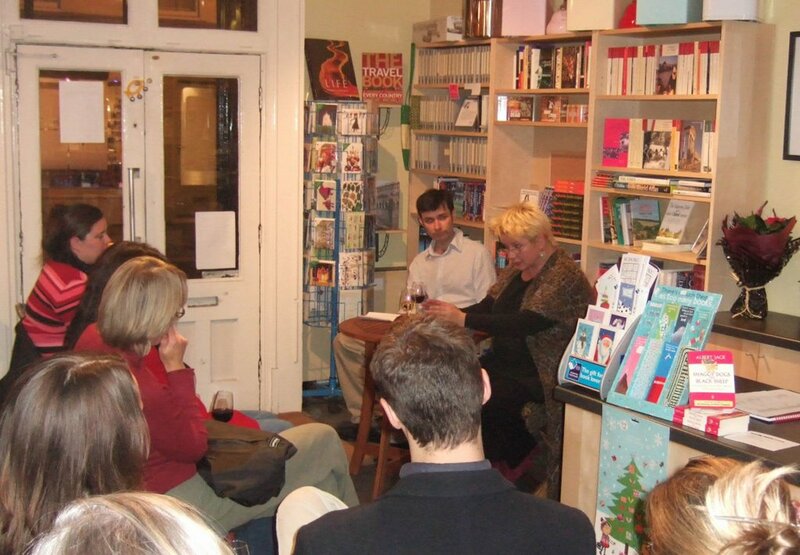 This is because Sophie Grigson, superstar cookery writer and culinary guru that she is, was simply a joy to have as our guest for the evening. I shall simply say she was massively interesting to listen to, contagiously enthusastic about her subject, by turns fascinating, surprising and genuinely funny. My friend Paul would describe her as an all-round "top lass", and Nicki and I are very grateful to her for making the event as successful as it was. 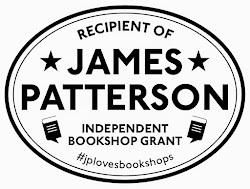 Exactly four months since we opened, and - as with most things at Mostly Books - representing a series of 'firsts' (another way of saying 'we hadn't done this before') I don't think we could have fit another person into the shop if we'd tried. Once we'd publicised the event, and with strong demand for tickets, we decided to have a cut-off first at 30 attendees, then 40. As the day drew nearer, with a few cancellations, we raised the number again. All in all we must have had nearly 50 people. Having run our of our own chairs, Jill at Added Ingredients leant us hers, as well as providing glasses and some excellent wines which helped the evening go even better. Sophie talked and answered questions for just over an hour (and, for those in the audience who want to read Sophie's v. amusing beer-can chicken recipe, here it is). We then packed up a few chairs so that people could actually move about, and Sophie signed books and chatted to people at the back of the shop. Splendid. Not even a post-event migraine could dim my delight and happiness (although it did serve to remind me to eat more than a solitary banana ahead of our next event). 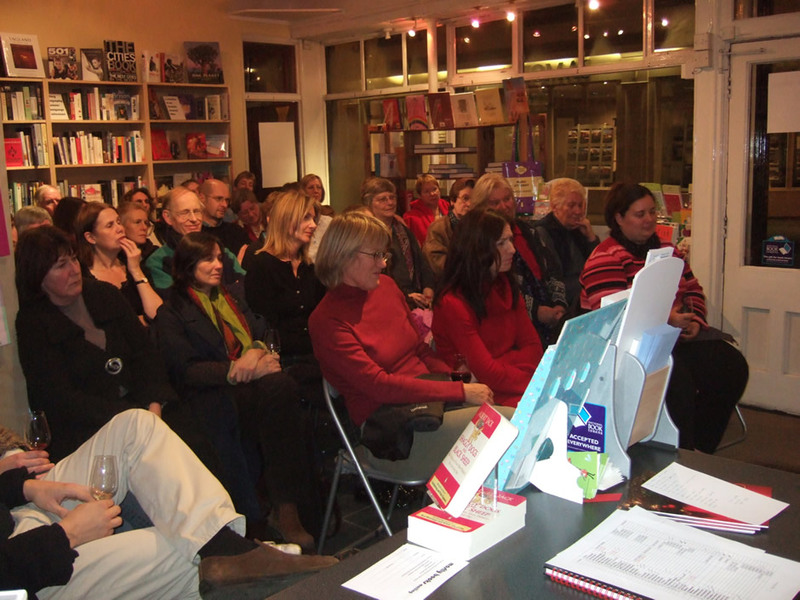 We have of course raised the bar for future events, with people enquiring eagerly who our next author will be. 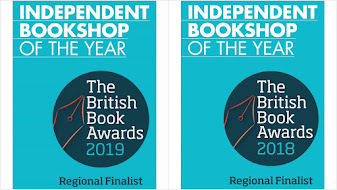 Also, having spent the Tuesday night moving chairs and tables around, and the Wednesday bookgroup having met the night before (and the fact that we still haven't quite put the shop back together) we're having a little break from events this week...phew. Isn't it great when they work! Congratulations.